Virginia weather conditions can take a toll on your vehicle. Let the ASE certified mechanics at Hogan & Sons in South Riding, VA maintain your car throughout the year. We’re offering oil change coupons and other routine auto service coupons to help you make car care a priority. Visit Hogan & Sons according to your car maintenance schedule and increase your chances of avoiding frustrating (and costly!) breakdowns. We perform brake checks, alignments and belts and hoses for free. Hogan & Sons offers prompt service no matter the job, including brake repair, tire repair and transmission fluid exchange. We offer tires sales from Goodyear, Bridgestone and Michelin, too! Print our auto service center deals and save on comprehensive car care. South Riding Hogan & Sons in Chantilly is eager to help get you back on the road. 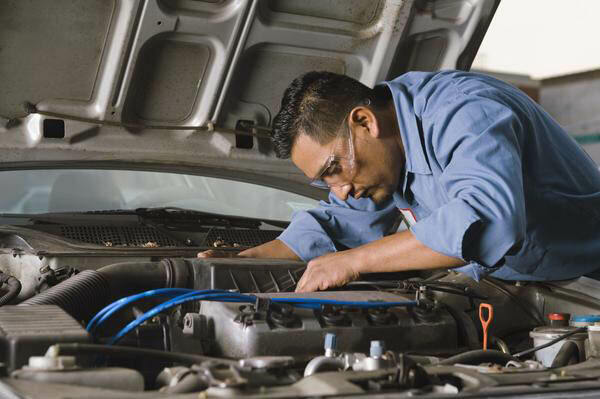 Auto Maintenance, State Inspection, Mufflers, Tune ups, Spark Plugs, Air Filters, Fuel Filters, Shocks and Struts, Auto AC Service, Oil, Lube & Filter, Brake Service, Cooling System (Radiator), Drive Axles, Exhaust & Emissions Services, Steering & Suspension, Fuel System Service, Tire Alignment, Tire Rotation, Tire Repair, New Tires. Email Club, Savings Programs, Website Coupons, Goodyear Credit Card, Same Day Service (most auto repairs), Free Customer Shuttle, Free Wi-Fi and Coffee for Waiting Customers, Free Alignment Checks, Belt & Hose Inspection, and Brake Checks, Free Pre-Vacation Checks, Towing Service Available, ASE-Certified Technicians. Hogan & Sons Tire and Auto is located in South Riding, VA and is a short drive from the surrounding areas of Chantilly, Dulles, Arcola, and Conklin. .